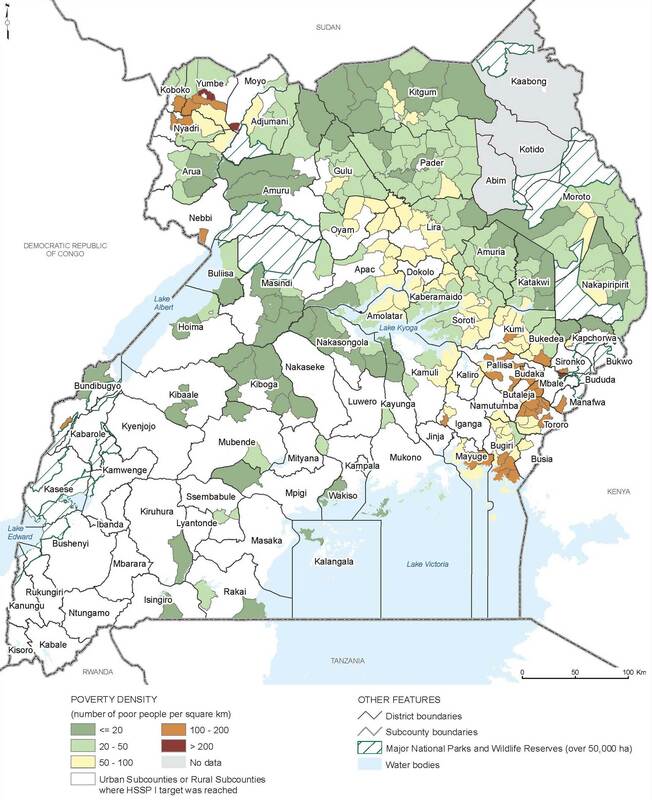 This map displays the poverty density (the number of poor people per square km) for subcounties that had not achieved Uganda’s interim national rural target of 58 percent improved sanitation coverage (HSSP I) in 2002. The majority of subcounties not reaching the 2002 target have low poverty densities. This is largely related to the lower population densities of northern Uganda. However, a number of subcounties in southeastern Uganda have high numbers of poor people per square kilometer.